Amanda breaks every rule made for women and manages to violate the etiquette for the insane. The likes of her are to be hidden from respectable folk. But even Amanda has a nagging need to belong. The young Amanda is a vagrant with a sharp mind and no intention of making do with the humble life offered to poor women. By chance, she meets a Frenchman who invites her to join him on his travels in Europe. The very next day, Amanda soars a thousand meters above the ground in a hot-air balloon. However, in Paris, Amanda’s mind weakens. After returning home, she gets sent to the infamous island of “Seili”, an asylum for incurably mentally-ill women. The nurses, the patients and the few islanders live cut-off from the rest of the world. In summer, all they see is blue sky and blue water and drink in the intoxicating smell of the lilacs. In winter, there is only ice and snow, but the alluring smoke of the city of Turku looms on the horizon. Amanda – sleepless and restless – is determined she will not stay on the island. Her only consolation comes from a secret self – and from books she manages to get hold of. Although Amanda makes an effort to dislike everyone, she struggles with the volatile boundaries of self and an uncontrollable urge to connect. After several quiet years on Seili, she has an unexpected chance for love. Will her isolation finally be over? 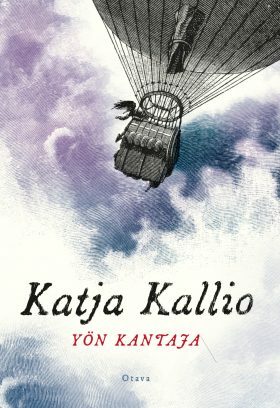 The novel is inspired by the fate of Amanda Fredrika Aaltonen, who was sent to the asylum on Seili island in 1891 at the age of 26. She never left the island again, and was buried there 27 years later.